Call me CommuniKate. My favorite color is blue. My favorite animal is a snake, and my favorite food is potatoes. I like to read, experience nature, play video games, sail, and play with my friends and siblings, and take pictures. I love snakes, singing, reading, and candy Make sure to follow me, and comment what post you want me to do next. Hello Everyone! Welcome back to my blog. Sorry I haven’t been posting. It’s because I’ve been sailing a TON to prepare for this championship. You have probably seen other regatta posts, but this is a very, very, very important one. 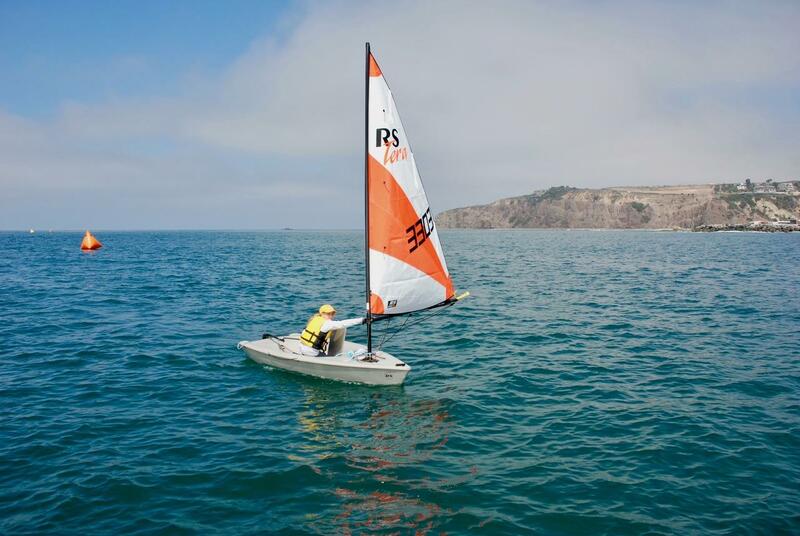 It is the FIRST ANNUAL RS Tera NA Championship hosted by the one and only Dana Point Yacht Club and sponsored by the Dana Point Harbor Youth Foundation. It was two days. Day one was the qualifying series. These were races to determine if the sailors were in the silver fleet or gold fleet. The top-performing sailors would go to the gold fleet, and the others would go into the silver fleet. The next day was the actual championship races to see who would be the first RS Tera North American Champion. Day one started off by me waking up at five in the morning. What? I was really excited. Anyway, I was just laying in my bed reading for a while, and then my mom woke up. She cooked breakfast, and I got ready. We left the house at about 7:30 and arrived at DPYC at about 7:55. We rigged our boats, but mine took the longest because my coach, Anthony, gave me a brand new sail! After I was all rigged and launched, I checked in at the Dana Point Seabase which is right across the harbor. My mom, dad, brother, and sister were there. We also had a skippers’ meeting and then got towed into the ocean. Everyone got a color. I got white so I was in the white fleet. We did three long races and then were towed back in. We learned which fleet we were in the next day. I woke up on day two later than I did on day one. I went to the regatta website and clicked results. I had made it into gold fleet. Once I arrived, I unwrapped my sail, put my gear in and launched. I was out into the ocean before I got towed because I was the first one to leave the dock. We waited for a while and finally started our first race. I scored third! I was really excited. The next one I got ninth! Whaaaaaaaaa 😦 . Then I came in sixth, then 5th, and 11th. Overall, I got in sixth place. It was a really fun day, and after that, inside the yacht club, there was an Italian Buffet. They had the award ceremony, and then we left. 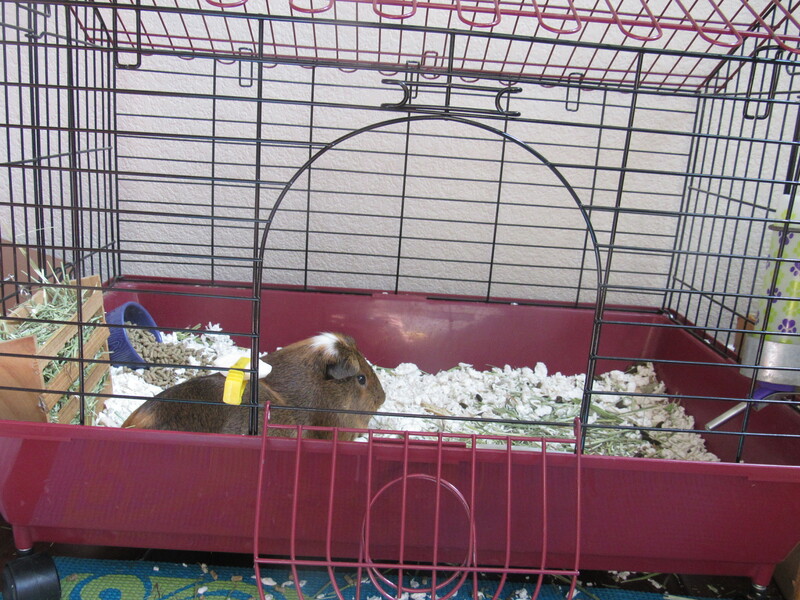 Thank you for coming to this post because I got a Guinea Pig! Her name is Piglet, and she’s such a cutie. I’m keeping her over the summer while our friends are in France. I got her on July 2nd and now have the time to write this post. I’ll be showing you guys some photos and a little FAQ/Q&A. What is Piglet’s Favorite Food? Hmmmmm…..I think she has 2. She loves carrots and watermelon. She also likes lettuce but not as much as those. What is Something She Does That Annoys You? Knocking down her hay and pellet bowl! She is so messy! What Noise Does She Make The Most? She makes this ‘Wheeking’ sound. It means that she wants something other than hay, pellets, and water. What Does She Eat and Drink? Well, she drinks water. She eats lettuce, hay, pellets, watermelon, green onion, and carrots. If you guys have any more questions, just shoot me a comment! Should I make a Guinea Pig page where I upload photos and videos and write updates?/Should I do another YouTube Video with her in it? Hello Everyone! I am very excited to say that my regatta at Alamitos Bay Yacht Club (ABYC) was my best regatta! You must read the post to find out what place I got, or you could just scroll down. Anyway, we started off by driving there which took about 45 minutes. When we arrived, I went inside and explored the yacht club. It was pretty big. I talked to my friends, and finally, my coaches, Anthony and Katherine, came with our Teras. We rigged them partly and then went to the skippers meeting. My other coach, Captain Rod, showed me the courses and gave me a chart. After the skipper’s meeting, I finished rigging my boat and went up to the yacht club to eat. When I came down, the shackle from my boat was gone! I had also heard that a boom, sister hook, block and mainsheet were lost. Berkley, the RS Tera director of California, drove all the way to Newport to buy replacements. Anyway, Captain Rod tied the boom vang to the mast with a rope because the shackle was missing. Then, I launched. Captain Rod knows a lot of tricks to rig/de-rig and fix sailboats. I’m in the Tera farther ahead. Did I forget to mention there were 8 racers? Yes, I did. Anyway, we started the 1st race. I got 5th….WAAAAAAA! I guess I should’ve practiced a race while I had the time. The next race I did much, much better. I got second! YAY! Now I’m going to tell you why I can never get first. There is this girl named Emily. SHE GETS FIRST EVERY SINGLE RACE! SHE IS SAVAGE. Luckily she’s moving to Optimists in the fall. Anyway, something AWESOME about that race is I was beating her for 90% of the race. I’ve never seen that happen. So after that everybody sailed in and de-rigged. Then, we went to the results. I saw my result posted up already, and I was super duper excited. Finally, it was time. They announced a bunch of different things before they did the Tera results 😦 . “And second place goes to Kate!” they said. I ran up and received my award. Now one thing I have to say. I did get first at a regatta in a lake a few weeks ago, but at ABYC there were very good sailors, and at the lake, they were easy to beat. After that, I ate a burger and 2 cookies. I got 3, but my mom stole one of my cookies. 😦 Really, Mom? Getting my SECOND place towel.